Steve recounted all of the polos he’s tried, in an effort to find one which can be worn in place of a standard cotton polo. Before switching to better clothing, a cotton polo was a summertime staple of mine, and something I had been greatly missing. Not so much that I wanted to wear cotton shirts again, but enough that I knew I needed to find something this summer. Unlike Steve, I got lucky with my first try, the Wool & Prince 100% Merino Polo. This polo is made from 100% 17.5 micron merino wool, and comes in at 205 gsm. In hand it feels sublime. It’s very soft, like a well worn and loved cotton t-shirt. This does lend to a bit of a fuzziness with the fabric after washing it, but once the shirt dries you tend not to notice it. The only slight against this shirt is that some might find the shirt a little casual even though the styling is like a traditional polo. The drape of the shirt is on par with a t-shirt, which is right where I want it to be on this type of a polo. With any polo shirt, the collar and front buttons will make or break the look. Buttons that are too big, too flashy, or non-standard will ruin the shirt. Likewise, too many buttons, or buttons too spread a part, will hinder the wearability of the shirt. And the collar, oh the collar. There are two types of collars: messy collars and crisp collars. This Wool & Prince shirt checks both the boxes here. The buttons are subtle, limited to just two, and can be worn more casually with all of them unbuttoned, or made a little crisper with just the bottom of the two buttons secured. They are gray, and blend seamlessly with the shirting — nothing to see here, just as it should be. 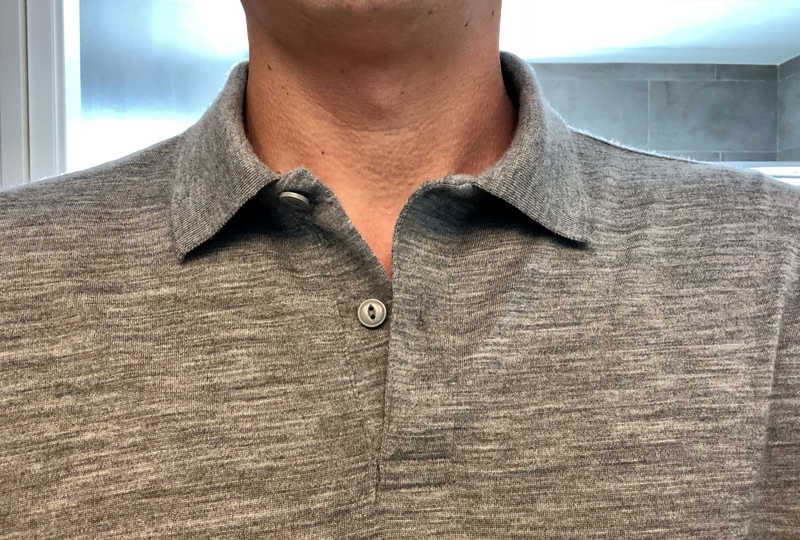 As you may have noted, the biggest issue with most of the polos we have been trying is that the collars tend to not stay put, and much prefer to laugh across your collar bone giving a very unkempt look. 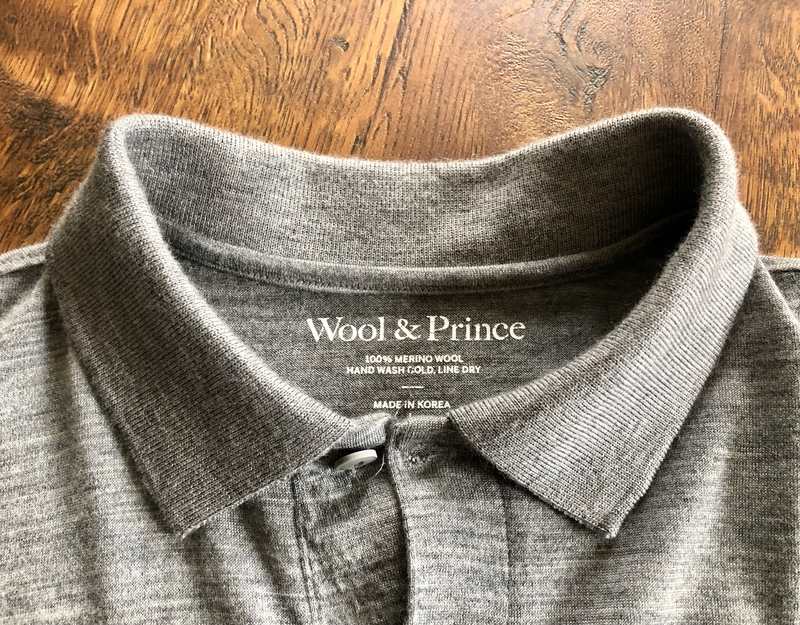 Wool & Prince specifically addresses this in their description, that the collar should stand tall and be crisp. Out of the box, before washing and over the first five wears, this could not have been more impressive. The collar stayed put, and looked sharp. After washing the first time and hang drying with the shirt buttoned up, the collar was notably less stiff. However, it still stays in place and I had no further issues, even across many wears. After the third wash, I was in a rush and did not button the collar, this lead to the left side of the collar having a bit of a rolled effect, but still never laid flat. After the fourth and fifth washes, the shirt still maintains poise with the collar as long as you pay attention to how the collar dries. 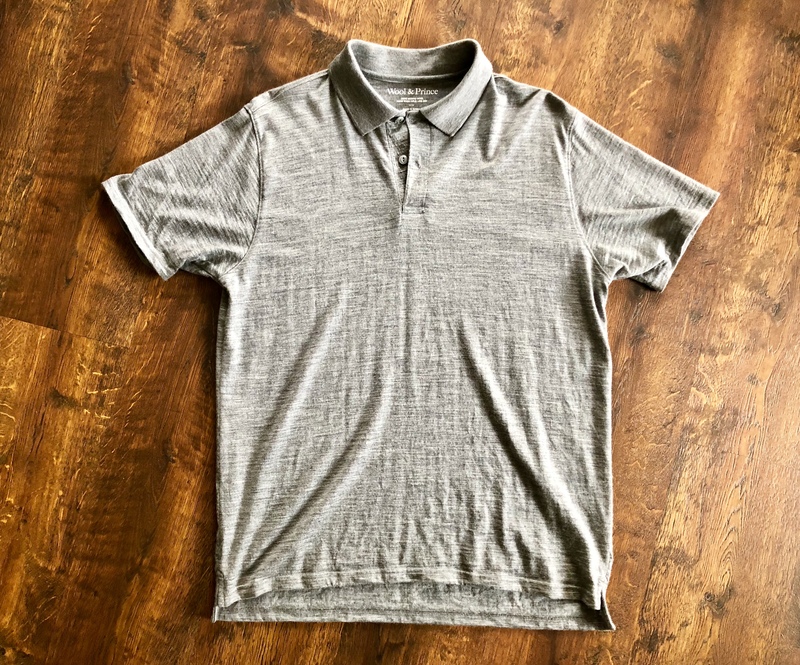 It is comparable to almost all the cotton polo shirts I am used to: get the collar how you want it when it is drying and that’s how it will be until you wash it again. I have no complaints at all about the collar, as it should be. The biggest issue I have with this shirt is the weight of the fabric itself. At 205 gsm, it is very heavy. It is heavier than the OUTLIER Ultrafine T-Shirt, which is already among the heavier wool shirts I’ve worn. If you move to the nylon blend polo from Wool & Prince it drops the weight down to 160 gsm, which is a much better warm weather weight. Weight of the fabric aside, wearing this shirt in warm weather was a bit of a mixed bag. Going through the drier heat in San Jose with mid-70s weather, I had no issues. Here at home in the Pacific Northwest, in the 80°F range, I’ve found the shirt to be warm, but not uncomfortably so. Much above 80°F in low humidity and it gets warm. In Boston, with humid air, and warm upper 70s weather, it was warm. Even though the shirt dries fast, I found that most of the time the arm pits were rather wet on the shirt, though not noticeably so when looking at me. At this weight, it’s not likely you will be able to tolerate the shirt much above 80°F in any type of climate. I really love this shirt. It’s just as comfortable as wearing a t-shirt, but with a less casual look. I average five wears of the shirt, even in warm climates — which means it was the only short sleeved shirt I really needed to pack for the two trips I took it on. 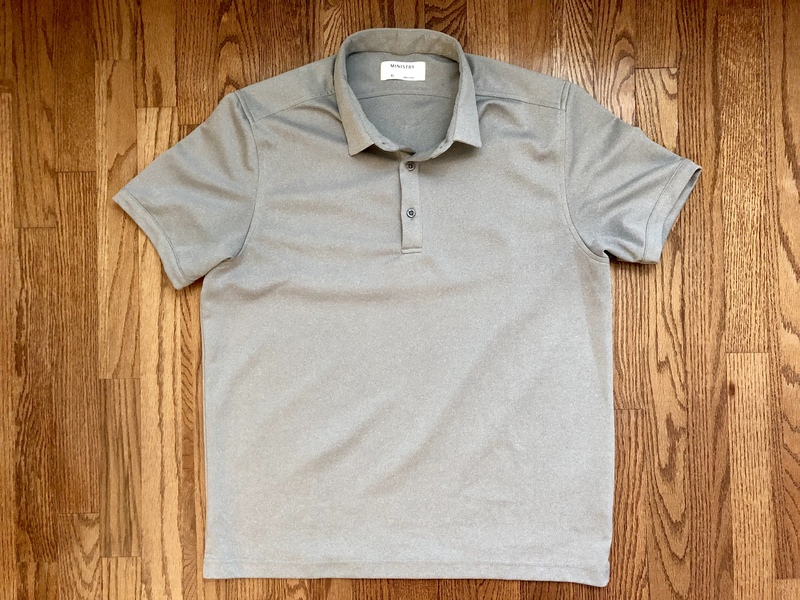 However, because of the weight, instead of buying another 100% merino polo, I’ll be looking to get the blended polo to reduce the weight of the shirt, at the expense of odor resistance. With all the performance clothing we’ve reviewed here, one would think that there would be at least a few good polos (or short sleeve button-ups) available. With today being the first day of summer, we’ve been searching for the best performance polos that can be taken from casual to business casual and have not had as much luck as we expected. I’ve already reviewed the Ministry of Supply Apollo 3 Polo, but we have still been on the hunt for the perfect summer collared shirt. I’ve recently ordered (and returned) the Arcteryx A2B Short Sleeve Polo, Triple Aught Design Caliber Polo, and RYU Tech Polo. The Arcteryx A2B Polo is made from a very thin Polylain fabric (50/50 merino/polyester). 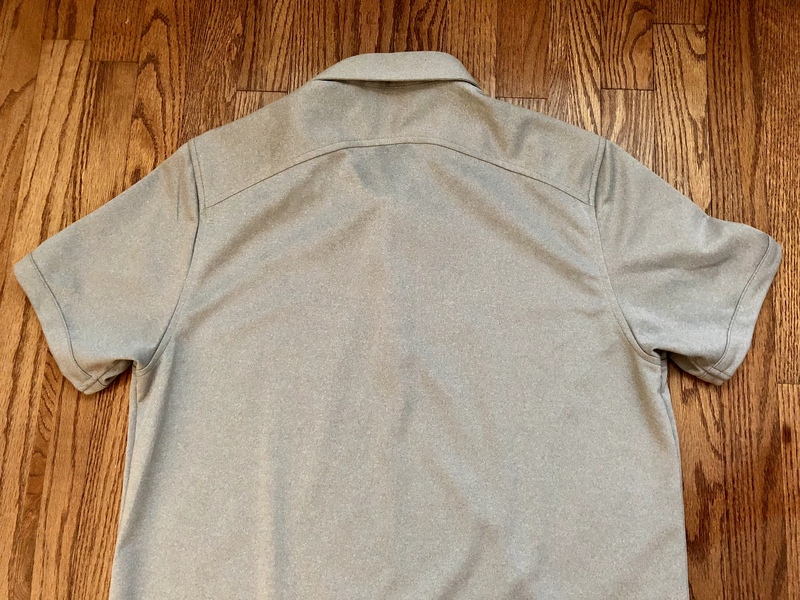 This would be a great fabric for the hottest days of summer, but Arcteryx ruined the shirt with a weird, semi-shiny and nylon-y, button placket and collar. While the shape and structure of the collar were decent, the material made it stand out from the rest of the shirt. Combined with the lines of sewing to imitate buttons and the same fabric of the placket, this shirt doesn’t blend into your everyday wardrobe. If you decide the style is what you are looking for, the sizing is very large, and you probably want to size down from the chart. The Triple Aught Design Caliber Polo is made from Polartec Power Dry (100% polyester) with a Polygiene odor control treatment. The fit and collar on this polo were great, the fabric and the webbing attached slot buttons just made it very casual. If that’s what you are looking for, this might be the performance polo for you. The RYU Tech Polo is made from a four-way stretch fabric called TecLayr (96% polyester, 4% spandex) with a Polygiene odor control treatment. While this material and the fit seemed great, again the collar and button placket were the issue. In this shirt, they are made from a very thin, weirdly stiff (almost like plastic), nylon-y material that gave that technical sheen. The collar also didn’t lay right — it was stiff and floppy at the same time, if that makes any sense. Hopefully this helps if you are searching for a summer collared shirt. If you have any suggestions or ideas, feel free to reach out. 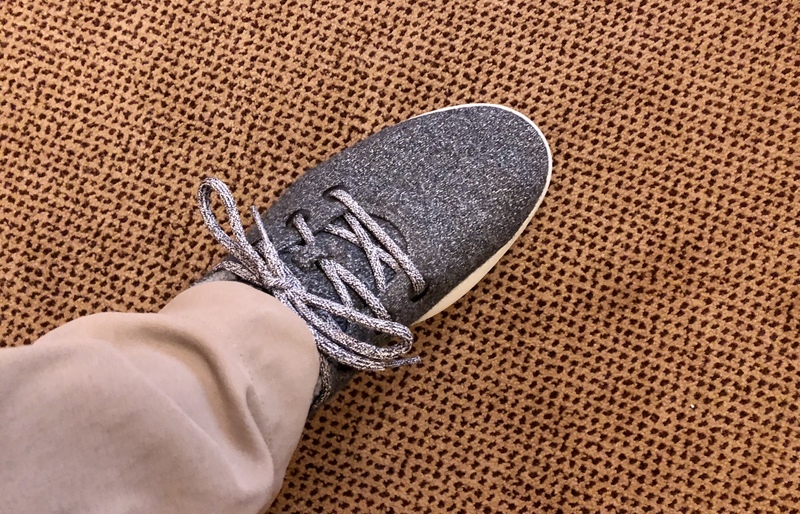 In the meantime, Ben has been trying out the Wool & Prince 100% Merino Polo and will share his thoughts in a full review soon. Bluffworks is currently offering 10% off with code LISTEN. We’ve reviewed and love many of their products, including the whole Gramercy line and their Meridian Dress Shirt. Ministry of Supply is one of the older techwear brands and they’ve been developing their own custom fabrics and other apparel technologies for a while now. I’ve had their Apollo 3 Polo for a year and while I still wear it, it doesn’t check all the boxes. The Apollo 3 Polo is made with Ministry’s custom polyester with phase change material (PCM, used by NASA to help regulate astronauts’ body temperatures). The composition is 57% polyester, 43% PCM-infused polyester. Ministry also claims a “hyperbreathable” and stretch knit. The fabric has a nice look and feel and has held up well in the wash (machine washed cold and air dried). It is also fairly thick, especially in the yoke, placket, and collar. This makes it tough to hand wash the shirt and have it dry overnight. The fit of this polo is described as modern (between their slim and standard cuts). I found it to be quite slim, but due to the thickness of the fabric it doesn’t cling to the body. The sizing chart is accurate, so make sure you check that out before choosing a size. The structured collar always stays upright and sharp, but it doesn’t always look quite right (as in it can make the shirt look less normal and more technical). The polo is very comfortable. With a close fit, this is not necessarily a given as there is just the right amount of stretch to keep the fabric from binding as you move. As far as the breathability, I’ve found the shirt to manage moisture better than some other polyester polos I have. It seems to wick sweat away without feeling (or looking) wet. While Ministry touts the PCM as something special, I have not been able to feel any difference in the temperature regulation of this polo. Maybe it helps keep the thick fabric from being too hot, but that’s about it. 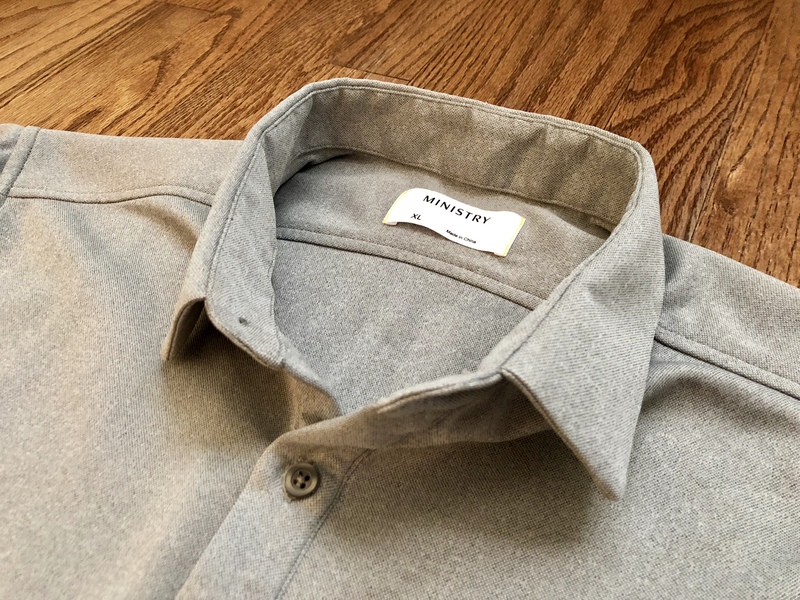 The wrinkle resistance of this shirt is great, it’s always ready to go right out of my bag. The main area this polo is lacking performance wise for me is in odor resistance. Being polyester with no odor treatment, I can only get one to two wears before the shirt starts to have an odor. While this polo isn’t excellent, it is a solid polyester shirt. The unique collar will either make you love or hate the shirt, and the lack of odor resistance is the biggest drawback. I continue to wear this polo, but I am still on the hunt for my perfect polo. Ideally, I am looking for something with a lighter fabric that resists odor (so merino or a synthetic with a good treatment). Look for more polo reviews throughout the summer. 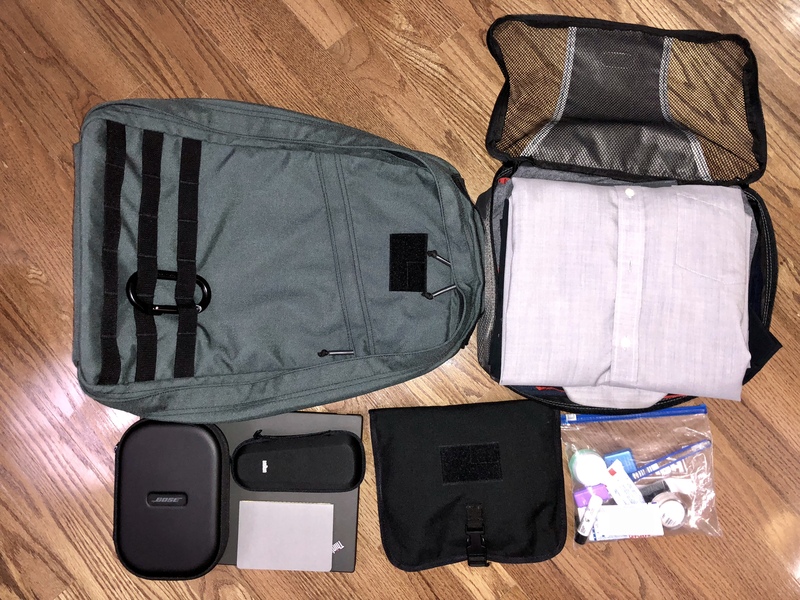 GORUCK is having their Father’s Day Sale. 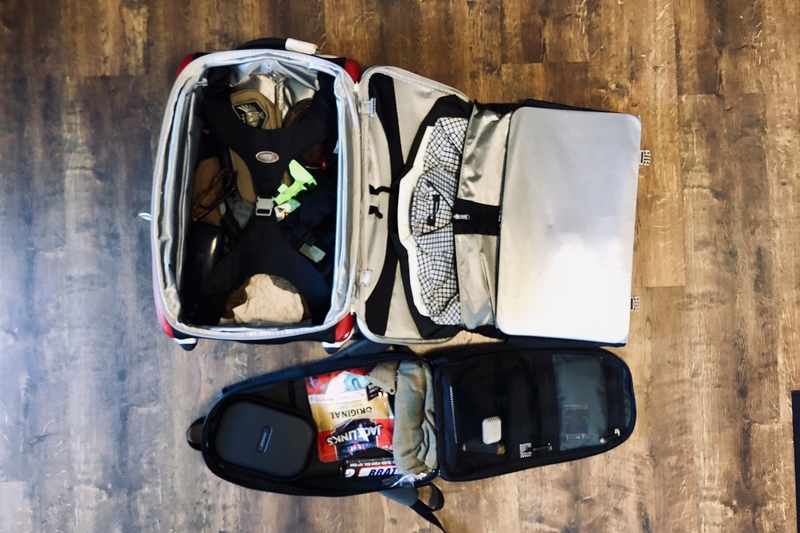 If you’ve been looking to pick up a Simple Windbreaker (our review) or a Bullet Ruck, now is the time. After getting my L-Tall shirt from Wool & Prince and washing it a few times, I wanted to share my thoughts on how that fit is overall. I need a minimum of a 35” sleeve length (measured from center back to end of cuff) and am ideally at about 35.75”, which means I tend to buy 36” sleeves if I have my option of doing so. For Wool & Prince I needed a narrower body but long sleeves, and going by the site I was either looking to get 34-35” sleeve in a Large which typically doesn’t work, or 36.5” in a Large Tall (the XL+Slim combo wasn’t slim enough, and the sleeve measures out to 36.5” on my L-Tall). The tall fit gives you the same as the regular fit with longer sleeves and a much longer body (by 2”) so after trying it on, I was a little concerned that the sleeves were too long. Essentially when an XL fit me well from Wool & Prince, I had a shirt that I could wear untucked and it looked fine with sleeves that were near spot on. With the Large Tall I now have a shirt with sleeves that are a touch too long but a body length which is only suitably worn tucked in, as it is too long to leave untucked. Overall, this is the best compromise for my current measurements, but I do wish Wool & Prince made a Tall in the slim fit sizes. Additionally, it would be nice if the tall variant wasn’t as extreme, but I am sure that would be horrible for some set of the customers they have. So when you buy a tall shirt from Wool & Prince, they really do mean tall.